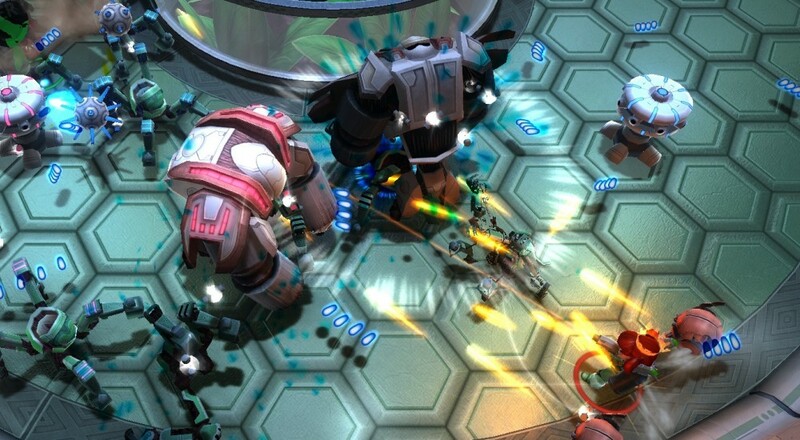 Assault Android Cactus has finally left Steam Early Access and has been officially launched onto the PC. To celebrate the release of this frantic local 4 person co-op shooter, developers Witch Beam have released a launch trailer that may just persuade you to buy the game. Cactus contains four different modes to play including a regular story mode, an endless mode, a daily challenge and a boss rush mode. More information on the gameplay can be found in our earlier Co-Optimus write up of the game. This launch trailer represents the Steam release of the game for $14.99, but pick it up before the 30th and get the game for 20% off - $11.99. The game has also been announced for One, PS4 and Wii U, but there is not solid date for these versions apart from 2016.